Inside each digital photo hides metadata in the EXIF, IPTC, or XMP formats, and digiKam provides tools for viewing and editing this useful information. For starters, digiKam’s main window features the dedicated Metadata sidebar which lets you view EXIF, Makernote, IPTC, and XMP metadata. You can switch between concise and full views as well as print the metadata, save them as a file, and copy them into the clipboard. You can use the Caption/Tags sidebar to edit basic metadata such as caption (i.e., the photo’s title), author, date and time as well as assign the photo ratings and tags. The Information section of the sidebar allows you to enter additional information about the photo such as licensing terms, location, and contact info. 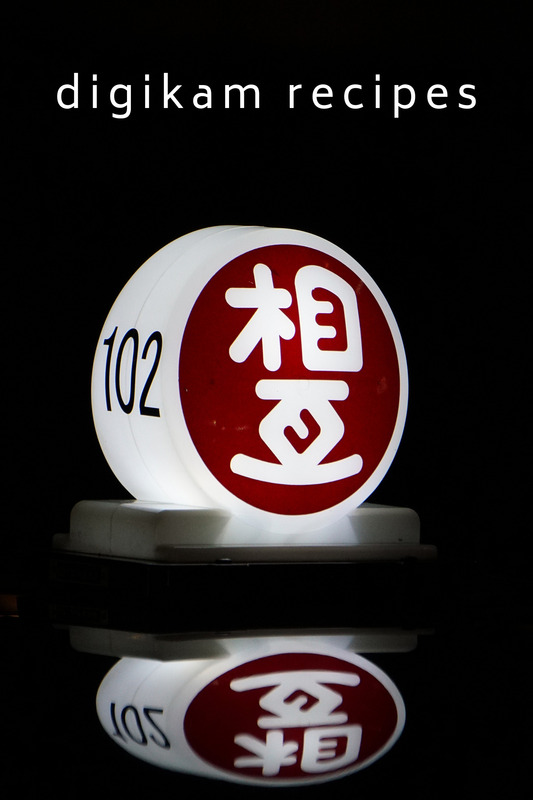 Since digiKam supports templates, you don’t have to enter this information manually. You can apply an existing template to the photo by selecting it from the Template drop-down list. To create a template on the fly, press the Edit button next to the drop-down list. digiKam offers metadata editing tools, too. To edit, for example, EXIF metadata, choose Image » Metadata » Edit EXIF. The metadata editor conveniently organizes all metadata into sections, making it easier to find and edit specific entries. For example, to edit hardware-related information, switch to the Device section. Here you can modify device manufacturer, device model, exposure-related settings, and other information. Using the Image » Metadata » Import EXIF command, you can copy EXIF metadata from one photo to another. This feature can come in handy when you use an image editing application that strips all metadata from the edited photo. If you keep the original photo, you can easily copy the EXIF metadata from it into the tweaked photo. Want to strip all EXIF metadata off the photo? digiKam’s got you covered: choose the Image » Metadata » Remove EXIF command, and digiKam scrubs the metadata off the photo. 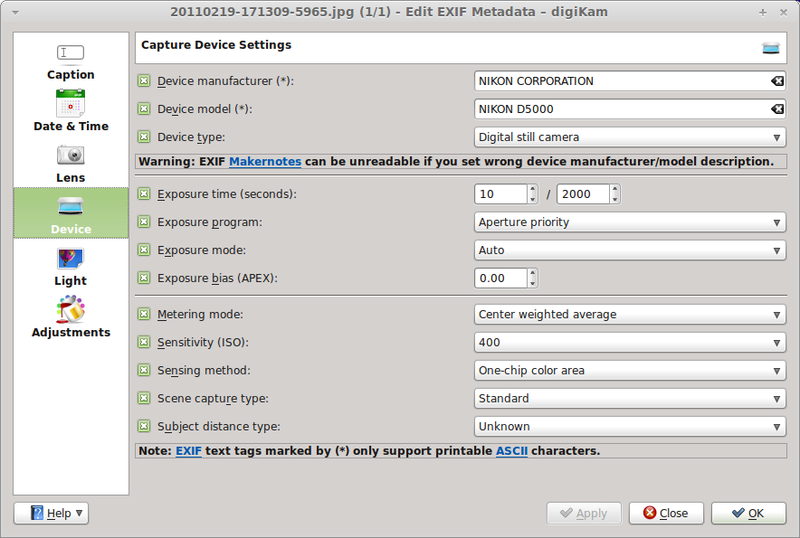 In addition to EXIF, digiKam supports the IPTC and XMP formats, so you can perform the described actions on metadata stored in these formats. The default Mint-X-Metal theme of Linux Mint 10 (http://www.linuxmint.com/). It would be great if that software supports batch EXIF operations, like this Windows program: http://www.superutils.com/products/exifcleaner/ Opening every image file for metadata editing is very time consuming. Just my $0.05. I do not edit the metadata that the camera creates but I do add the author/copyright/etc. info using the templates system in digiKam. By selecting multiple images and then using the “dedicated Metadata sidebar” you are able to changes all the images simultaneously. This also applies to tagging images and adding comment metadata. > Opening every image file for metadata editing is very time consuming. Removes everything (not just EXIF) from all files ending on .jpg in the current directory. (-de alone just removes the EXIF header). Cf. man jhead. i didnt know it could do that. Thank you for sharing….however i am against removing any EXIF metadata from any picture, since without them we only see the picture…not how the person created it. I share photos with another user who uses Windows Live Gallery, which writes rating into XMP-Rating and title into XMP-Title. Is there a way that digikam can show use or import this as the values in the “Caption/Tags” sidebar? Possibly a setting, in what metadata part the photo title is saved (IPTC, XMP? )?